CRICKET: Proteas team manager Mohammed Moosajee has hit back at ball tampering suggestions made by Aussie opener David Warner after the second Test. An edgy third and deciding Test has been predicted for Cape Town, starting on Saturday night, and Moosajee said Warner's comments smacked of "sour grapes". 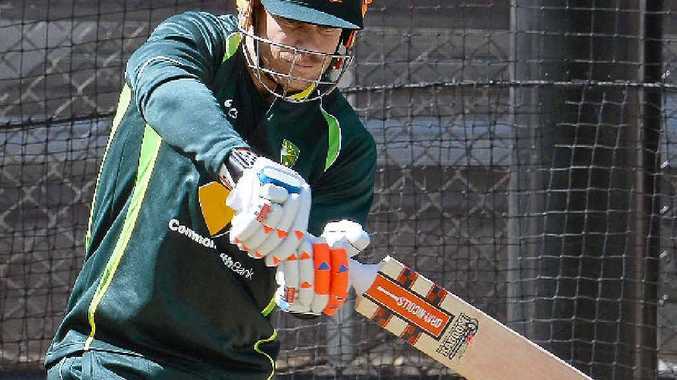 Warner (pictured) said he would be watching opposition wicketkeeper AB de Villiers, to see if he roughs up the ball with his glove to increase reverse swing. Meanwhile Aussie allrounder Shane Watson has progressed well from a calf injury and is likely to return, with either Alex Doolan or Shaun Marsh to make way. Proteas paceman Kyle Abbott received a call-up for Wayne Parnell (groin), and Ryan McLaren (concussion) has recovered. Aussie opener Chris Rogers said his teammates would use the momentum from the 5-0 Ashes victory to try and win another series.